Click here for detailed directions to any one of our affiliated hospitals. 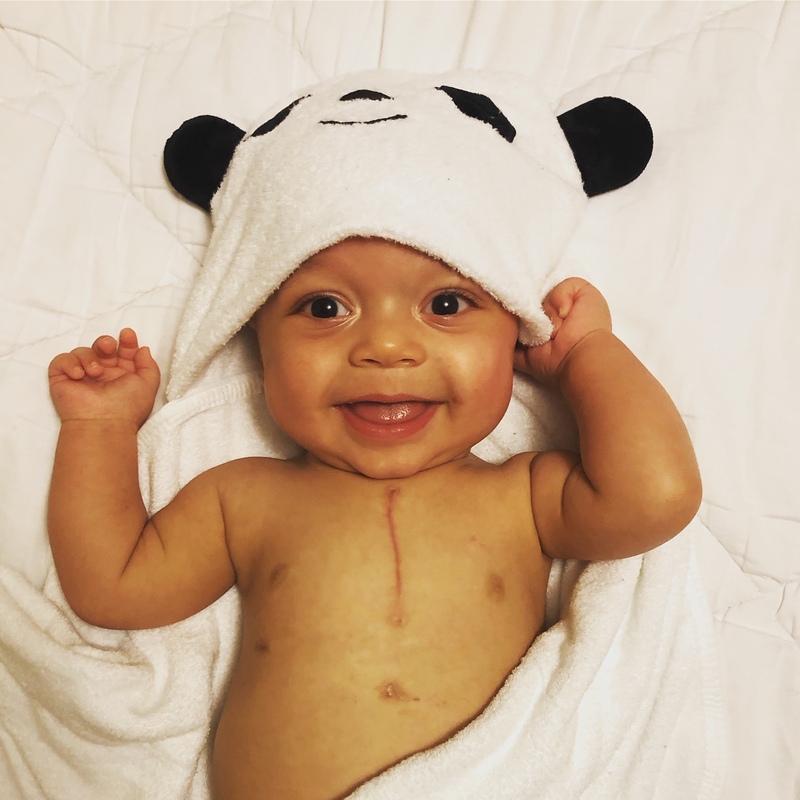 Last year, Pediatric Critical Care of South Florida cared for Xander Nunez, a Boca Raton baby born with critical aortic stenosis, a congenital heart defect that causes a narrowing of the heart’s aortic valve. Because his condition was so severe, Xander spent the first five months of his life at Joe DiMaggio Children’s Hospital awaiting a heart transplant. Led by Dr. Gerald Lavandosky, PCCSF provided around-the-clock monitoring, continuous infusions of medication to support his heart, and oxygen tube feedings. After many months, the call came that a heart was available for Xander, which he received on September 26, 2018. After successful heart surgery, PCCSF provided post-operative care in the hospital’s intensive care unit. Read more about the care PCCSF provided Xander, how he’s doing today, and how you can donate to the family’s Help Hope Live campaign in the Sun Sentinel. The road to heart disease begins in childhood. Chronic illnesses such as Type 2 Diabetes, high cholesterol and high blood pressure are now common in many overweight and obese children. Healthy eating habits and physical activity can reduce the risk of heart disease. Parents can do a lot to help reduce their child’s risks and help them develop habits that can last a lifetime. Starting at around age three, your child’s pediatrician should be regularly monitoring their cardiovascular indicators, such as blood pressure, cholesterol and BMI. Their doctor may also recommend other tests depending on your family’s health history. Water – Water is vital for bodily functions and is the best way to quench thirst. Children should drink water throughout the day and drink additional water during physical activities or sports. Buy a portable, reusable bottle that can be regularly filled for on-the-go trips. Add lemons, oranges or other fruits for added flavor. Vegetables and Fruits – Your child’s doctor will indicate how many servings of fruits and vegetables they should be eating for their age group and activity level. As a general rule, each meal should contain at least one fruit or vegetable. Parents can get creative by adding fruits and vegetables to just about everything, including cereal, toast, pancakes, omelets, yogurt, sauces, lean meats, beans and soups. In general, a diet high in vegetables, fruits, whole grains, low-fat dairy, heart-healthy fats, fatty fish, lean meats, chicken and turkey is best for optimum heart health. Treats – Food should be used for nutrition. Vitamins and minerals provide the fuel that children need to function. Rich desserts, cookies, cakes, candy and sodas should only be eaten in moderation and as occasional treats. Snacks – Prepare a bag of heart-healthy snacks to eat on-the go, such as low-fat granola bars, trail mix, nuts, carrots, celery, bananas, fresh fruits, low-fat cheese, yogurt, low-fat chocolate milk and dark chocolate. Get Kids Cooking – Children who learn to prepare healthy meals will be less likely to overindulge once they understand what they are eating. Food Labels – Teach kids how to properly read food labels and read them together when preparing food or shopping. Once kids understand what they are eating, they are less likely to want sugary, fatty, and high-calorie foods. Family Involvement – Heart-healthy habits should be a family matter that will help motivate everyone to make and keep healthier choices. Get others, such as caretakers and other family members, involved if they are also caring for your children. School Lunches – Find out what your children are eating at school. When possible, review their menu options and help them choose the most appropriate, nutritious foods. When packing their lunch, pack the most nutritious foods you have available. Exercise – Children need at least 30 minutes of physical activity every day and 60 minutes is ideal. Increments of 10 or 15 minutes of exercise at a time are fine. Exercise builds muscle, powers the brain, increases the amount of healthy cholesterol, lowers blood pressure and helps the body control stress. Smoking – Teens who smoke have a higher chance of getting cancer, heart disease, stroke, emphysema, bronchitis and pneumonia. More immediately, teens can experience malnutrition and asthma. Talk to your children early on about the dangers of smoking so they won’t start. Sleep – Sleep plays an important part in heart health. Lack of sleep has been linked to obesity, diabetes, high cholesterol and blood pressure. The amount of sleep that your child needs depends on their age, make sure that they start developing good sleep patterns now. When visiting your child’s physician, any questions or concerns you may have regarding your child’s weight or health habits should be brought up. These topics may be sensitive or uncomfortable and their doctor may not bring it up themselves. Once your child has been thoroughly evaluated, any actions that need to be taken should be followed-up as indicated. The holidays allow children to spend time with family and friends, participate in traditions, and take some time off away from school. It’s important, however, to maintain a healthy routine for them during this time. We’ve put together 6 tips to make this holiday season a healthy one! Halloween is all about costumes and candies, making it an exciting time with kids. We put together five tips to make sure you and your children have a safe and fun Halloween! With flu season fast approaching, we encourage everyone to get their yearly flu shot to help prevent coming down with the illness. 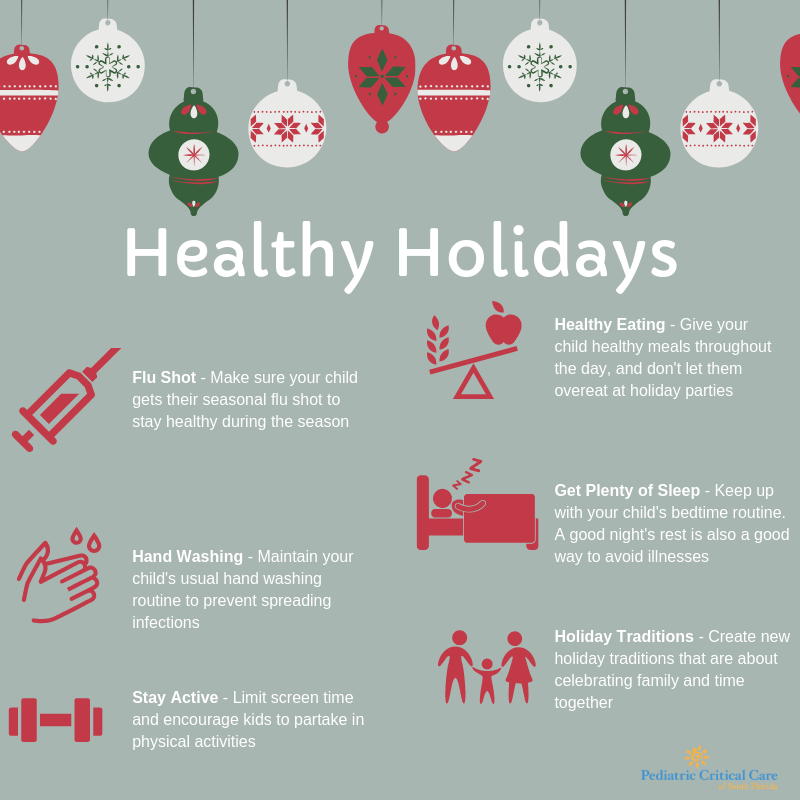 But if you forget to, it’s important to know which symptoms to look out for, how to take care of yourself or your children when sick, and seven things you should avoid doing to not prolong the flu or make it worse. PCCSF’s Dr. Allan Greissman spoke with Bustle and provided his insight on what to do when sick with the flu. Getting the flu is no fun. But as summer winds down, it’s more and more likely. If you end up stuck with this bug, it’s important to watch out for things that make the flu worse, so you can be back to your best self as soon as possible. Some of these things, however, might not seem so obvious. Of course, the first step should always be preventing the flu by getting vaccinated and understanding the signs of the flu if you’re at risk. Flu season has a tendency to come on strong, and it’s crucial to know the difference between a bad cold and a more serious illness. “Sometimes it can be easy to confuse symptoms of the flu for symptoms of the common cold,” Dr. Emi Chiusano, MD, Area Medical Director at Med Express, tells Bustle. “However, look out for some big differences. Symptoms of the flu will come on quickly — more quickly than those of a cold [... and] keep an eye out for fever, severe body aches, exhaustion, cough and sore throat.” If you notice these symptoms, getting to the doctor as soon as possible is crucial. Once you’ve been diagnosed, it’s time to stay home and rest. “It’s very important when you have the flu to drink plenty of liquids to stay hydrated and get plenty of sleep so that your body has time to fight the infection,” Dr. Allan Greissman, of Pediatric Critical Care of South Florida, tells Bustle. “[...] Not giving yourself a chance to get better will only hurt your own immune system’s ability to fight the flu.” Your body will thank you if you don’t do anything to exacerbate it, and you’ll be healthy much sooner. 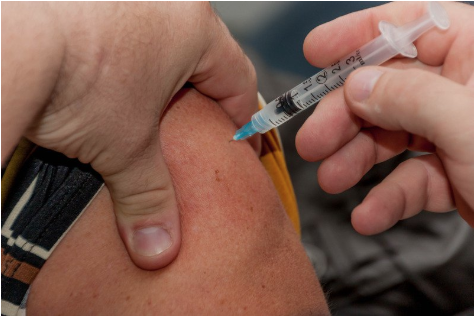 Here are seven things you didn’t realize prolong the flu or make it worse, according to experts. To read the full story, visit Bustle.